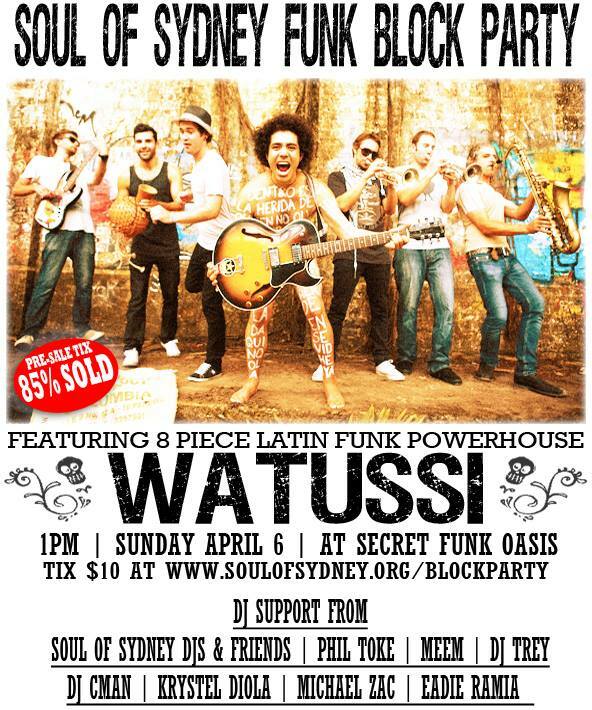 SOUL OF SYDNEY BLOCK PARTY APRIL 8 – 85% PRE-SALE TIX SOLD | SOUL OF SYDNEY FEEL-GOOD FUNK SOUL DISCO vibes & beyond. 85% pre-sale sold for Soul of Sydney April 6 feat. Watussi.